myPOTTERY.com.my has put together an extraordinary collection and complete range of Malaysian pottery and ceramic gardenware for wholesale to the trade only. Our product range includes varies size and design of flower pots and planters, containers, jars, urn, garden accessories, bird bath, fountain, garden edge, saucer, pot feet, pot stand and many more. In order to satisfy our customers need of having wide variety of choices and consistently new design available, along with our own product lines we have, we also carry pottery through over 10 of our affiliated pottery manufacturers in Malaysia. This make MYPottery the largest selection of Malaysia pottery supplier. 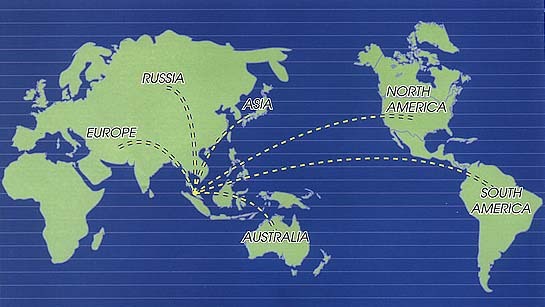 MYPottery's product lines has expanded its global presence throughout the world. Our pottery supply to all the major markets in Europe, North & South America, Australia, East Asia and Russia. We are the aggressive pottery manufacturer in Malaysia, with over 30 years solid history of handmade and high-tech machinery manufacturing experience in ceramic pot industry. Our product lines are exclusively designed for wide range of customers in lawn yard, hotel, home and garden, park, patio, greenhouses, conservatories and many others indoor and outdoor decoration. MYPottery established reputation for its wide range of shapes and sizes of pottery pot, its artistic and inventive hand painting and carving design, its excellent quality of clay used to ensure frost-resistant, its large scale of production capacity as well as its efficient sale and delivery service. These helped bring MYPottery to become a leading pottery manufacturer in Malaysia by manufacturing high quality, exclusive design and frost-resistant pottery pots.